Which is strange because I love motorcycles that garner obsessive followers. SR’s, XS’s and bevel-driven Dukes. And Guzzi fans are like Ducatistas wound up to eleven. They frequently own dozens of them and they form secretive Guzzi cabals where they discuss important vintage Guzzi issues like sump extensions and electrical repairs. And until recently it was all lost on me. But after a week on the new Moto Guzzi V7 III Special I’m starting to worry it’s been acting like a gateway drug into the world of shaft driven, v-twin Italian oddities. To really understand modern Guzzi’s you need to go back to the formation of the company by three Italian amicos after the First World War. The three founders (sans one who died in a plane crash before production was established) managed, in just a few years, to build a bevel-driven, unit construction engine with a four valve head. That’s in 1921, an astonishing achievement at the time. What followed was a series of race winning, awe-inspiring builds from the Northern Italian manufacturer, the zenith of which was a 500cc V8 that pushed 270km/h in 1955. To fund their racing efforts the Mandello del Lario based company sold a series of reliable, easy-to-service everyday rides to keep the cash rolling in. 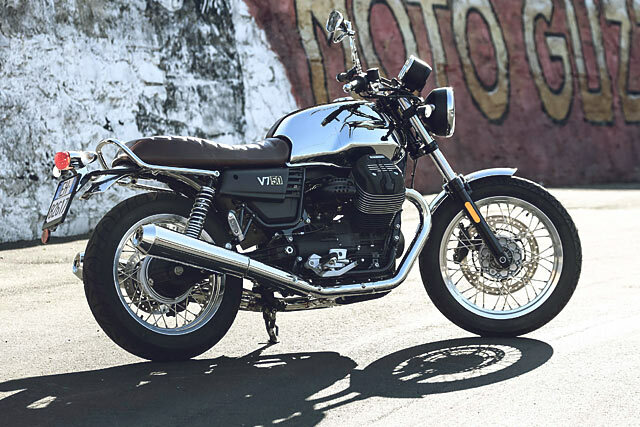 And that’s the spiel that the guys from Moto Guzzi will be quick to parrot, stating that the V7 III is the direct descendent of these early efforts. I’m usually skeptical of advertisers that spit out terms like ‘heritage’ and ‘authenticity’ like they have some obscure form of advertising speak Tourette’s, but in Guzzi’s case it’s a fair claim. After all, it’s the motorcycle company that’s been in the longest continual production in all of Europe. 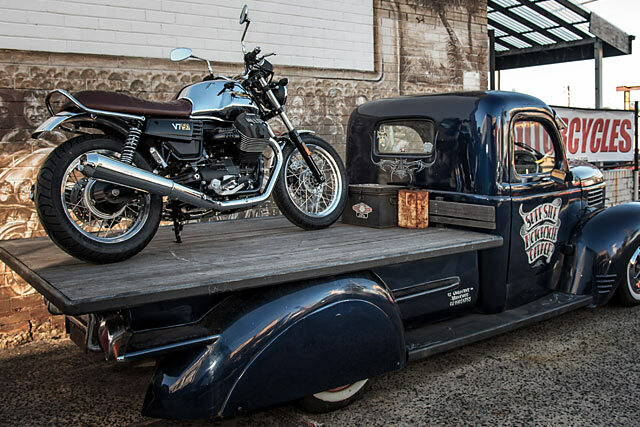 And I think it’d be a fair crack at the title worldwide – with Royal Enfield changing location in the 50’s and Harley Davidson now producing rides that would make Walter Davidson hang himself with his leather belt drive. While most manufacturers now draw components from across the world, Moto Guzzi are still making machines from all Italian parts up in Mandello del Lario. Now there’s two new variations of the V7 III that I’ve had a chance ride. The first is the entry-model ‘Stone’. It runs mag wheels, matt paint and a speedo-only dashboard. The more up spec model – the ‘Special’ – is the stunning, straight-from-the-late-70’s version with wire wheels and a tacho. 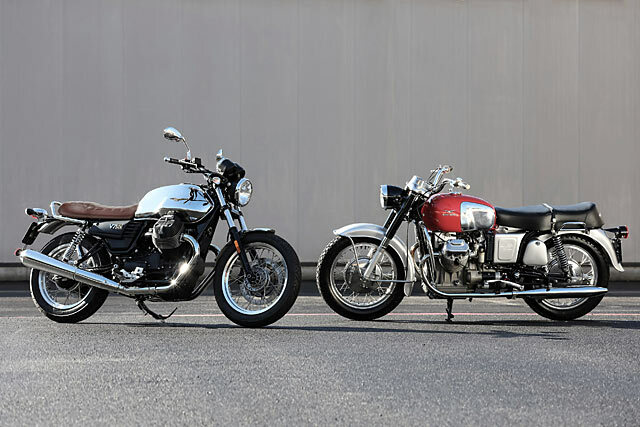 Both run the same six speed, air cooled, small block 750cc transversal v-twin that has been the staple of the Guzzi line up for decades, powering such incredible bikes as V7 Sport and less incredible bikes like the Nevada. And while the two new V7 III’s look exceptional, I think the Special is the pick of the pair. The two colours available – a black with green highlights and blue with orange and silver accents make the Special look, well, special. Up close the chrome is well-finished and deep, the paint has a nice subtle fleck in it and the powder coating exceptionally well laid on. The way the stitched leather seat runs around the tank and the pleating that adorns the top is one of a dozen features that makes up a bike that the bike as detailed as it is gorgeous. There are flashes of plastic here and there – the most obnoxious of which is the fuel injection intake lines, but there are brushed alloy covers available. That’d be the first thing I’d replace. I’d also powder coat the footpeg assemblies that run a clear coated alloy finish not found anywhere else on the bike. Down below, the exhausts sound nice at idle, but they’re larger than some motorcycles I’ve ridden. But all told, they’re exceptional looking bikes. When you thumb the starter the V7 III coughs into life with a shudder and a sharp push to the right as the air-cooled v-twin spins up. It’s quite dramatic. On my second outing with the bike I made the mistake of putting my brand new Shoei on the seat when I started it. It pitched the helmet onto the ground and smashed the visor. But underway this torque effect doesn’t come into play at all. The engine buzzes and vibrates and gives great feedback but doesn’t have that strange engine torque behaviour that you’ll find on some older BMW’s where they pull to one side when you’re on the noise. And unlike its Bavarian brethren, the shaft drive doesn’t really cause the rear end of the bike to buck up under acceleration – it’s all very level and sensible. Until you downshift, that is. A strange marinade of the torque and the fuel mapping causes the bike to dive hard if you’re too high in the rev range when you want to go down a cog. It’s unsettling at first, but you can get used to it. Through corners the V7 III feels planted and very predictable but has a surprising amount of heft. 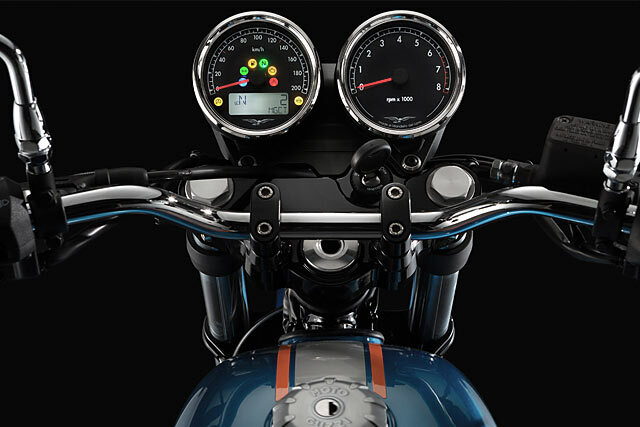 In the grand scheme of things it is on the light side, but isn’t a featherweight like the Triumph Street Twin is. And for whatever reason pushing the bike around at in a garage is a bit of a chore. It’s not like muscling a groaning K100 uphill and backwards through a carpark but it’s caught me out on one or two occasions when I nearly let it slip when I was lazy or distracted staring at my own reflection in a shop window. “Through corners the V7 III feels planted and very predictable but has a surprising amount of heft”. The suspension is a little over-sprung but otherwise surprisingly passable when compared to some competition. I’d still be looking at some quality rear shocks and some progressive springs for the front. 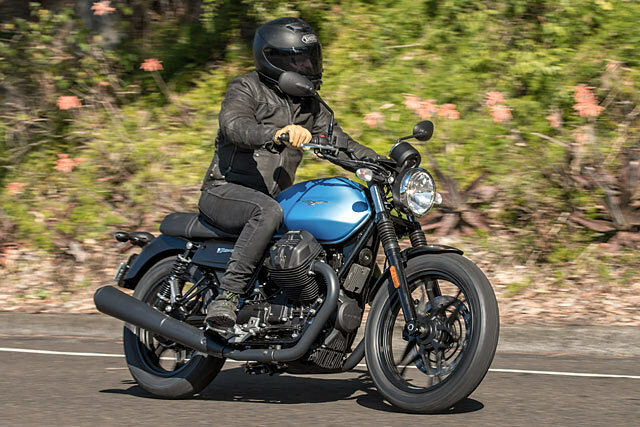 Power wise it’s not going to win any outright horsepower competitions – think of it as something like a 883 Sportster that can navigate perilous terrain – tricky things like speed humps or corners. But the engine puts out enough power to get yourself in trouble. It’s only 50-odd horses but they’re bloody charming horses, like those big fat ones with hairy hooves. Working your way up to it’s peak power at around 6,000RPM might have you fighting the gearbox. And it’s not that there’s anything wrong with the clutch itself – it’s light and offers good feedback and feels like a modern clutch should. But putting the bike into gear, whether it be from neutral to first or even banging up and down the gearbox is a strangely disconnected affair. There’s not much feedback and it lacks the classic ‘kerchunk’ when popping down into first when taking off. But overwhelmingly the sensation is of an engine and a bike that has something that most modern classics don’t – personality. It’s got quirks and foibles and confusing touches – like the three traction control modes I still can’t figure out a week later (one of which seems to only serve the flick up a bright yellow warning light) but at it’s most basic level it’s an old fashioned, simple, air-cooled v-twin. And it feels like one. It’s got bucketloads of rumbling, vibrating charm that’s sorely lacking from much of the competition. It’ll also feel like one if you ever have cause to open it up. The small block series has always tended to live in the shadow of its bigger brethren but in recent years it’s come to be synonymous with reliability. People have been chalking up ridiculous kilometers on the things. Once in awhile the factory tends to spit out a model that’s been built on a Friday, at 6PM, by an apprentice who is drunk and quite likely, blind. It’ll might have a leaky gasket or two or a grumpy electronic start on cold mornings. But in fairness they’ve become rarer and rarer over recent years. And for the most part, Guzzi have been quick to fix these issues. “In recent years it’s come to be synonymous with reliability. People have been chalking up ridiculous kilometers on the things”. 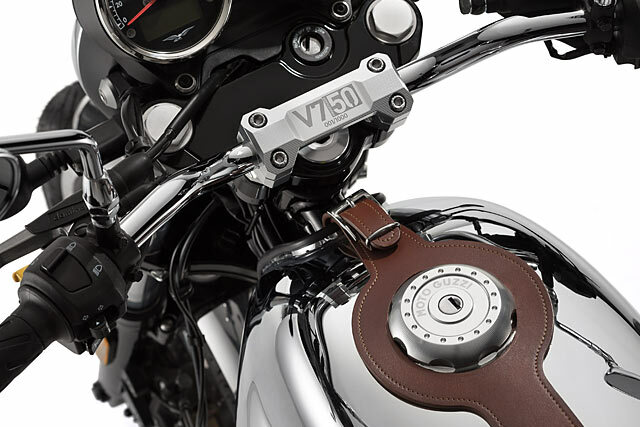 But for the vast majority of owners the V7 III will offer a lifetime’s worth of riding. 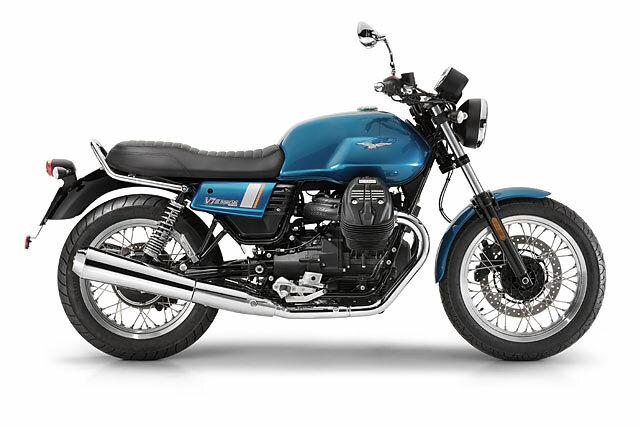 The servicing will be simple too – the community of Guzzi obsessives know their bikes inside out and there’s very strong and active clubs around to support you in the years to come. They’re like Branch Davidians, but friendlier. And it’s got screw and locknut valve adjustment. In 2017. How good is that? 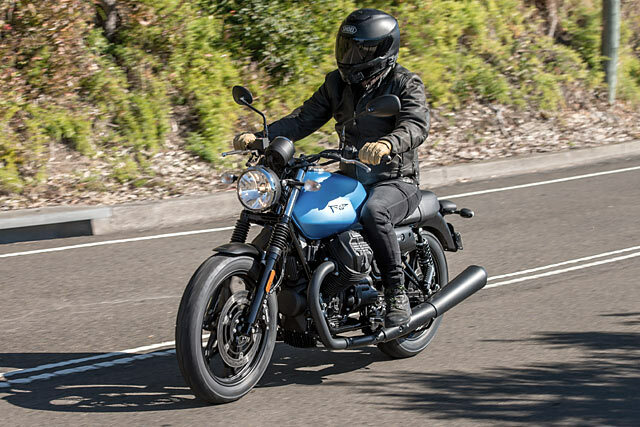 All of these features, the bizarre traction control modes, the confusing throttle delivery, the unnerving tendency of the bike to destroy very expensive helmet visors might have you thinking I don’t like it. Maybe it’s a little too odd, a little too curious and a little too… Italian for my liking. 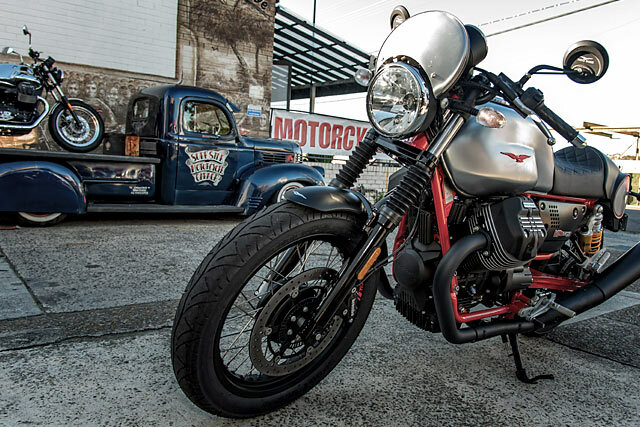 The Moto Guzzi V7 III straddles a perfect line between eccentricity and reliability. It’s got curious Italian quirks but underneath it all it’s a fantastically fun bike to ride that’s drop dead good gorgeous and capable of doing huge kilometers without any fuss at all. It actually does feel like an old bike to ride – but without any real downsides. It’s an eccentric, charming little thing. Although this year’s model is up 10% in power on the last year’s V7 III I can’t help but wonder if the V9 engine will eventually make it’s way into this frame. That’s more like an extra 20% of power on top of that. 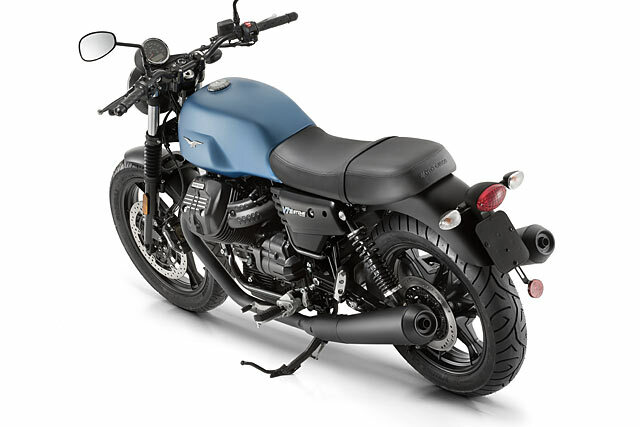 And as fun as the Guzzi is to ride, I wouldn’t say no to a little more power. But goddamn is it a fun bike as is. As soon as I give the bike back, I’ve a funny feeling I’ll be jonesing for another. 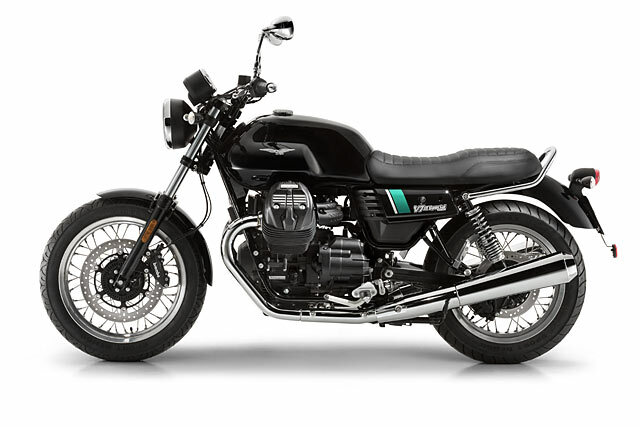 In fact I’m going to start learning the codewords and secret handshakes that Moto Guzzi owners use to identify one another because, sooner or later, whether it be a V7 III or some other model I think… I think I’m going to own one. 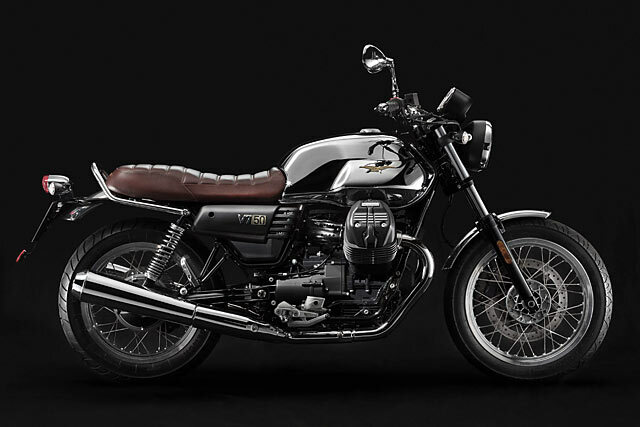 To celebrate the 50th year of the V7 Moto Guzzi have a limited edition ‘Anniversario’ model that’s being shipped out to dealers. Limited to only 750 units worldwide, it features a chrome tank, brushed alloy guards and brown leather seat and tank retainer. It’s quite a looker. And for not much more than the V7 racer. It might be worth a look if you want a good looking bike that can blind strangers from over a hundred yards away. 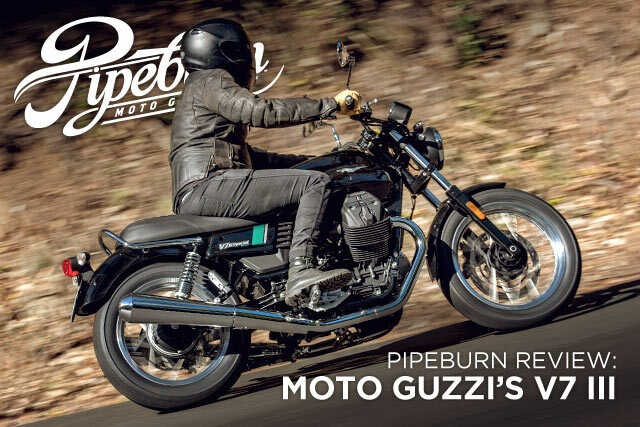 The fine print: In an effort to keep things as legit as possible, we feel it’s best to mention that Moto Guzzi paid for Marlon’s trip to Sydney to see their new bike and also shouted him food, drink and lodgings. 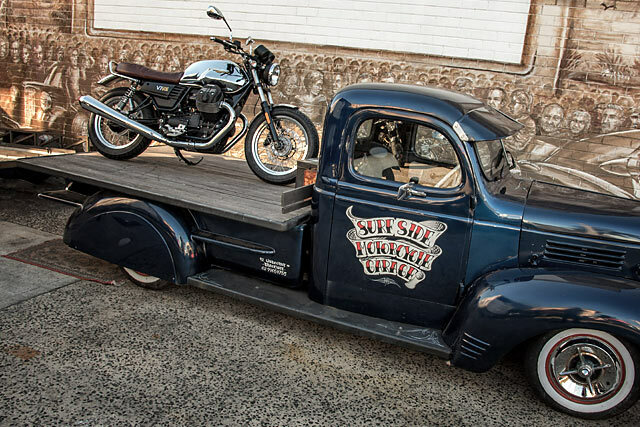 Rest assured that if the bike wasn’t up to scratch, we’d have no problems saying it. We will always endeavour to give you the best reviews possible without fear or favour; bike companies bearing gifts included.